Are you looking for a fun toy or gift for a teenage boy? Here are 20 amazing toy ideas to help you find the perfect gift. It's not actually too hard to find the perfect toy. Teenage boys are not much different to the average adult. Look for toys that you would find fun and would enjoy having a go at and you'll probably find the teen boy you know will probably think the same. Teen boys will love this fun game. Press the button in the middle to start the game. The button is red and the start and the music plays. As soon as they light turns green, you press the button on your trigger as quickly as you can. The slowest person gets a shock. For the shock adverse, you can choose the intensity from 1 to 4. Don't be tempted to press the trigger early or you will get a shock before! There's lots of suspense waiting for the light to change as you hold the trigger. It's fun, quick and teens love to play with family or friends. This is such a fun game for people of all ages. It's a magnetic dart board so you can enjoy the game of darts without having to worry about damaged walls or others getting hurt. It's great for teen boys to have in the bedroom and have a quick game of darts with friend's who come around. Everybody will want to have a go. It's also great for a family games night. The dartboard has a hook on back to hang wherever you want to play. If he's a lego fan, there are some fantastic lego sets for teen boys and adults too. They are more challenging to build than other set sand they look great to display when completed. There are lego architecture sets for many landmarks around the world including Buckingham Palace, Big Ben, the Whitehous and the Capitol building which is featured. The set replicates the Capitol's neoclassical facade, dome, colonnades, north and south wings, steps and lawns, remove the dome to access the rotunda, featuring columns, 8 statue elements and a tiled floor. There are 1032 pieces in total so it's quite a challenging but fulfilling project. Other lego kits. There are some great Star Wars kits that adults and teenagers will love such as the Millenium Falcon lego set. They make fantastic collector items. This mini basketball hoop fits over a teen boys bedroom door and you can start to shoot hoops straightaway. It could also be used in a dorm room, on a study or wherever you like. When you fix it to the door, it has foam padding on the backboard and brackets to minimize impact on the door too. It's great fun and a stress relieving exercise as well. Have a break from homework or shoot a few hoops when your friend's come around. This robotic arm is great for the teen boy who likes gadgets and to see how they work. If he likes to make, fix, create, this could be for him. If he also likes robotics, this is also for him. First of all, build the arm and put it together. Then have fun giving it commands and watch them carry them out. If he likes constructing consider some of the great lego kits for teeangers and adults such as the lego architecture series featured above. Or if he would be interested in constructing an engine and seeing how it's put together there's a build your own engine kit featured below. This is a good set for novice model rocket launchers. It contains 2 rockets which can soar to heights of up to 1,200 feet. The set also includes an Estes launch pad and launch controller. All that's needed is buy some wadding and rocket motors and you are set to go. The Estes model rocket engines required are availalbe to buy separately. After launch they are easily recovered with their colorful and fully assembled parachutes. The rockets have a streamlined shape and colorful graphics. Stomp rocket kits - stomp on the launch pad at the bottom of the rocket to see how high you can shoot it in the air. This is a puzzle game for all ages (kids and adults). It's quite a simple concept. It's a marble game with towers. There are 60 cards with different challenges to complete (beginner, intermediate, advanced, and expert). The towers in the game can be arranged in a variety of structures but, for each challenge, you'll have to to build a path that will carry your marble to its target. I can see it could be quite addictive once started until you complete all the challenges. It's great for firing the brain and problem solving and spatial reasoning. Hopefully it's one that will get teens off their ipads and tablets too. Puzzles such as the Rubix Cube and creativity tools such as the Ball of Whacks. The Lego Mindstorms robot is a multifacted toy which can be controlled and commanded in many ways. There is also a massive lego mindstorms online community where you can download bonus building instructions and share ideas. The box comes with the instructions for building five robots. The first challenge is to build the robot of your choice. There's lots of fun and lots of ways to work with these model. Very educational and tons of fun. If he likes to take things apart and build them up again or he has an interest in cars and how engines work, he will probably love the Build Your Own V* Engine kit. The kit allows you to discover how an engine works by constructing a fully working model. It features an electric motor with illuminating spark plugs and ignition sound. The instructions include step-by-step diagrams for assembly of the 100+ parts. It's a fantastic kit and a great learning tool too. This is the perfect gift for any basketball player or those who just want to have a go. It's an arcade game suitable to play at home or in a games room. It folds up when not in use so it's compact and space saving. This is a another fun game for teens and here's betting most adults and older kids will want a go too. It can be played indoors, outdoors, in the backyard, camping, on campus or at the beach. It's simple. The net is placed at ankle level between a pair of two-player teams. You smack the palm-sized ball down on the net so it ricochets up at your opponents. They have up to three hits between them (just like volleyball) to control it and bounce it back to you. When they miss, you score. First team to 21 wins. It's played solo but it's a great toy to take in turns to see who can get the highest score. It's a lot of fun, and is portable and easy to set up wherever you want. An electric scooter is awesome fun teens and there are reviews of older teens and even adults using them too. It also has extra wide pneumatic tires for extra comfort and control. Fantastic for getting from a to b or just having fun. If you're looking for a toy that's for pure fun and hilariy, check ou the air zooka gun. It is a unique hand-held device that blows a harmless "ball of air" towards any object or person. It's the perfect device for playing some harmless practical jokes. It shoots air a long way too. The other great thing about it is no electricity or batteries are required. Also Consider: Nerf guns or a lazer tag set. The last couple of years has seen the rise of smart phone and tablet controlled toys, where a smart phone, tablet or other device can be used to control robots and cars. One of the best smart phone controlled toys which makes a great gift for a teen boy is the Anki Overdrive. To play you will need a smart phone or tablet that is compatible with Anki Overdrive. ​ Download the free app, roll out the track and you can battle against other family and friends on the race track. Each racer will need a device to control the car. The track featured comes with 2 cars but there is the option of expansion track and more cars too. What a cool toy to race with family and friends! 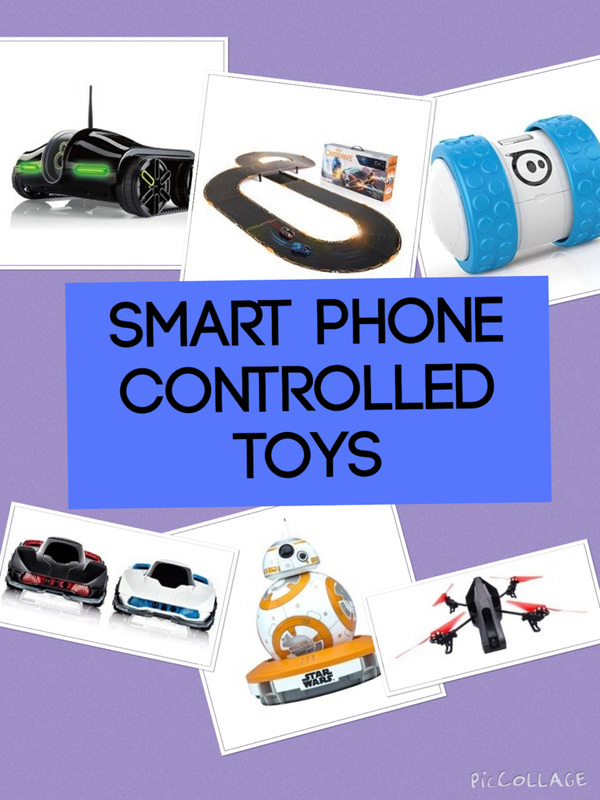 Check all these and more smart phone controlled toys. This is the game that has no age limits – so go ahead and treat family or friends to a smashing laser tag tournament! These revolutionary laser blasters and target vests boast a flawless performance both inside and outdoors within a wide 150 ft. range. Will you battle in broad daylight or under the cover of dark? If you have a teenager who's interested in coding, electronics gaming and Star Wars he will probably love the Droid Inventor Kit. The kit comes with everything needed to create and control your own Droid. The first stage builds their confidence with step-by-step, in-app instructions to build the Droid. Then they can challenge themselves to level-up their inventor skills by building new custom Droids. There's a droid inventor app where kids can use their smartphone to teach the Droid skills such as head spins. Then they can sent it on different Star Wars missions. In summary this is an awesome toy with lots of learning and lots of interesting activities. Teens will have fun exploring the possibilities this toy presents. 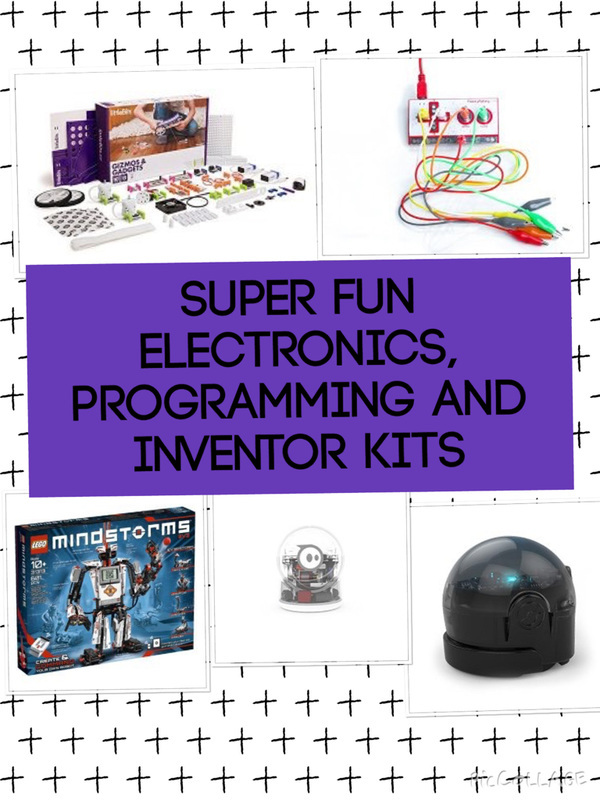 Other coding and stem toys like the Sphero SPRK+ STEAM, an educational robot toy. There are lots of board games I could've picked for this list which are fun for teens. Party games such as Apple to Apples are a good choice. If you are buying a game for a teenager who's 18 or 19 check out Cards Of Humanity (it's not for the easily offended and is for adults only). My pick is a strategy game - The Settlers of Catan. It's an award winning game where players collect resources and use them to build roads, settlements and cities on their way to victory. The board itself is variable, making each game a little different from the next. Each game of around 3 or 4 players will last for approximately to 90 minutes. Also consider: some more board games for teen boys (includes ideas of strategy games similar to Catan, puzzle games, co-operative games and fun, party game ideas). This looks lots of fun! Ripstik Caster Board is a mixture between a skateboard and a snowboard. So if he likes to hit the skate parks (or he would like to) and would be open to trying something different it makes a fab gift. It's also great for using anywhere outdoors on a smooth surface (around college campus or driveways for exmple). It's also great for getting teens out and away from the games console. Check out more outdoor toys for teen boys. This is a remote control quadcopter that features a camera . so you can stream live video with your iPhone or Android phone device as you fly. Powerful air pressure altitude hold function allow you to release the throttle stick and the drone will keep hover at it's current height. Control the drone with a smart phone app to activate multiple functions such as gravity sensor mode which allows the user to control the flight by holding and moving the smart phone accordingly. If you're counting, you'll realise this is the 21st toy in the list, so it's the bonus entry. And it's a good one. It's a hoverboard / electric self balancing scooter but it also equipped with a bluetooth scooter so you can listen to your music as you go along. It's super fun, nearly everybody will want to have a go. It may take a few goes to get the hang of it. But it's bound to be a big hit! Also consider - an electric scooter or the ripstik caster board both featured above.